In this video I'll show you the best foods for thinning hair - and which foods to avoid - for thicker, healthier, shinier hair. Because the right diet is one of the best solutions for hormonal hair loss. In the first video in this series we went over all the common causes of hair loss in women over 40. And one of them was nutritional deficiency, which you can address with the best diet for thinning hair! In fact, it's one of my favorite hormonal hair loss solutions. Healthy oils & fats - nuts & seeds, & avocado. CHINESE MEDICINE considers a healthy digestion one of the foundations of good health including thick, shiny, heathy hair. So those are my top diet tips for thinning hair caused by hormonal changes in women over 40. Be sure to watch the other videos in this series on thinning hair. Just download my hormone-balancing smoothie recipe, and I'll follow it up with my best hormone-balancing & menopause relief tips sent straight to your inbox! CLICK HERE to get that recipe now! I'd love to know what was the one thing that jumped out at you - that you're going to start using right away? Please type that into the comments below along with any questions. And be sure to check out the other videos in this series. 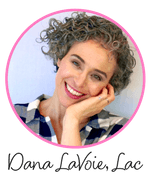 Hi, I'm Dana, I'm here to help you learn to use natural remedies based in Chinese medicine to have happy hormones and feel great during and after menopause. For more natural remedies you can start using right now at home, become one of my email insiders. I'll send my best hormone-balancing, menopause controlling, & healthy aging tips right to your inbox..